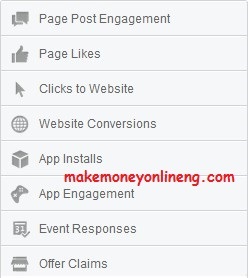 Advertising on Facebook is one of the best way to get conversions for what you advertise. However, you don’t need to advertise because everyone else is advertising on Facebook. You need to find reasons to advertise. And when you do, you need to advertise on Facebook with the type of Facebook ads that meets your reasons. First, you need to decide what you want to achieve with your Facebook ads. Then use any of the 8 types of Facebook ads to get the results you want. Here are the 8 types of Facebook Ads. 1. Page Post Engagement: Ads that boosts your posts and increase likes, comments, shares, video plays and video vies for the post you advertise. 4. Website Conversions: ads to promote specific actions for people to take on your website/blog. 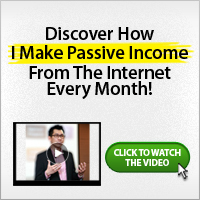 You will need to use a conversion-tracking pixel to measure your results. 5. App Installs: ads to encourage people to install your app. 6. App Engagement: Ads that get more activity on your app. 7. Event Responses: ads to promote your event. 8. Offer Claims: Ads to promote offers you created on Facebook or create a new one with the ads tool. Which of these Facebook ads do you use?